Moving to London and still looking for an international mover can be stressful. You will easily find a reliable moving company for your move to London with Intlmovers. You can compare quotes and find the best value for your move to London. 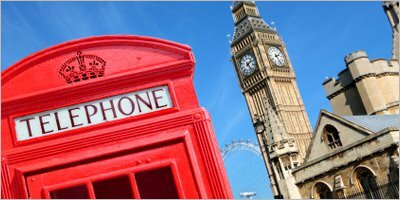 Don’t worry if you still haven’t found any international moving or shipping company for your international move to London. On Intlmovers it will take you just a few moments to fill the request form. You will then receive responses from up to six companies who will contact you directly by phone or email. Compare moving quotes easily and save time and money! London is a very popular destination for people to move to from Australia, the United States, France, Germany, Canada, India, Spain, New Zealand, United Arab Emirates (Dubai) and Ireland. We have provided some handy facts you need to know if you are moving to London regarding career chances, wages, housing, costs, international schools, visa and more. London is commercial center of England and the United Kingdom, with the sixth largest city economy in the world. There are many international enterprises with headquarters and having branches offices there. London gives you many opportunities to develop in different spheres; however the financial, especially banking field is the most developed one. The most demanded jobs in the UK are the following: financial analytics, IT specialists, account managers, healthcare professionals, engineers and sales managers. If you are able to get, or already have have a good job in London you will be able to manage the high costs of living. The wages in London range from £20,000 to £45,000 per year. The ICT or IT sector is well paid. For example a personal Assistant can earn about £28,101 and a project manager in the information Technology (IT) can earn about £47,869 per year, a Senior Software Engineer or Developer Programmer can earn £45,980 per year. Jobs in management and finance are also well paid. You will earn less as an account or sales manager (about £29,068 per year) or as a graphic/web designer (about £24,293 per year). Often when you find a work in London, company offers to help you with finding apartment, and if not, that is not a big deal to find one. The easiest way for this is to look in the Internet and contact the landlord directly or via an agency. When filling in the form on Intlmovers, you can highlight that you need to find an apartment. Some moving companies may also have this available as an extra service. Central London is the most expensive area to live in. The cheapest apartments can be found in Waltam Abbey and Harrow. The cost of living in London in the UK is high, especially housing and home related costs such as gas, energy and taxes. Compared to other cities the costs are low for furniture and items in your home for example a TV, freezer, furniture, microwave, toaster, (dish)washing machine etc. Education costs are also average but it depends on the school you pick for your children, if your children attend a good international school, the education costs are higher than those of public schools. The cost of housing and needed services are high in London. This also includes the energy costs, gas costs and taxes. Clothing and grocery costs are high as well but London has some great markets that can help you get clothes and groceries such as vegetables a bit cheaper. Communication costs are high, we advice you to compare providers for your phone and internet. Healthcare and personal care costs are high. Transportation costs are high, in London most people travel by the metro system (also known as ‘the tube’) or by taxi. There are international schools available in London to apply your children to. Make sure you do this 6 to 9 months before you move and if possible, let the children visit the school to get familiar with it. The schools with an are accredited. There are several active expat communities in London, most of them are focused on American and French people. The UK visa requirements differ depending on your nationality. For the citizens of European Economic Area (EEA) and Switzerland it is easy to move to the UK, London because of the free movement and residence regulations. Residents of countries including Australia, New Zealand, the US and Canada can stay in the UK for six months without applying for a visa. After this time, you will need to apply for one at the Embassy. Depending on the purpose of staying and citizenship you can apply for different types of business visa. 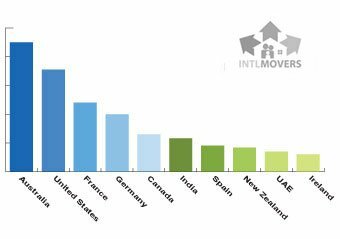 On Intlmovers you are able to find professional companies to meet your individual requirements for your international move. The companies listed here are known to be experienced in this field and have positive reviews. They are carefully selected to serve you best. There is no easier way of finding the right company for your move to London! Fill the simple form and up to six moving and shipping companies will contact you by phone or email to offer you the competitive quotes! Compare their prices and services. Pick an international moving company and enjoy your move to London.